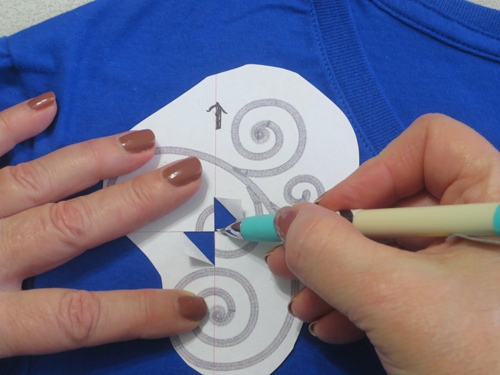 Paper templates are invaluable for determining and marking fabric for embroidery designs. There are several ways you can get a paper template. If you are purchasing a BERNINA Exclusive Design Collection that starts with a number 8, a printed copy of all the designs comes in that collection as well as a PDF of the same templates. If you purchase a BERNINA Exclusive Design Collection that starts with the number 2, only the PDF of the design templates are included. 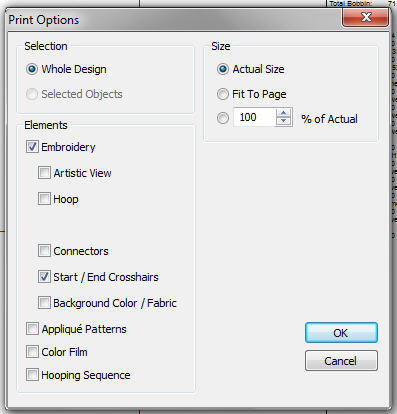 Follow the instructions that are on the first page of the PDF to accurately print the designs at the correct size. 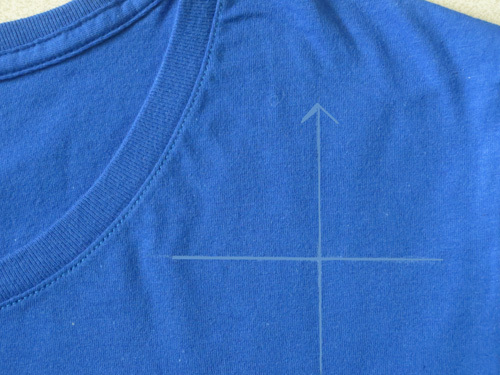 After you print the design, mark an arrow pointing to the top of the design and cut around the design. Cut a slit through the center horizontal and vertical axis and fold back opposite corners. Now you can move the template around until it is in the position and orientation that you would like. Use a marking pen to mark short lines through the slits. Remove the paper and extend the horizontal and vertical lines you just made. Hoop the fabric and stabilizer keeping these marked lines in the center of the hoop. Using the hoop’s plastic template will help with this. If you are going to use more than one design on a project, print out multiple templates. 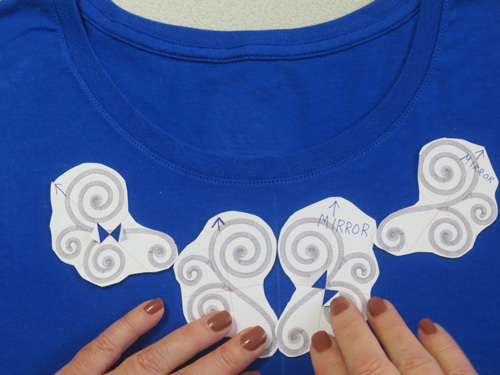 Be a little bit fussy in cutting around the designs if you are going to position them close to one another. If you want the mirror image of a design, print on thinner paper. You should be able to see through the paper to trace the design on the back of the printed paper. Some collections do not come with either the PDF or the printed templates. 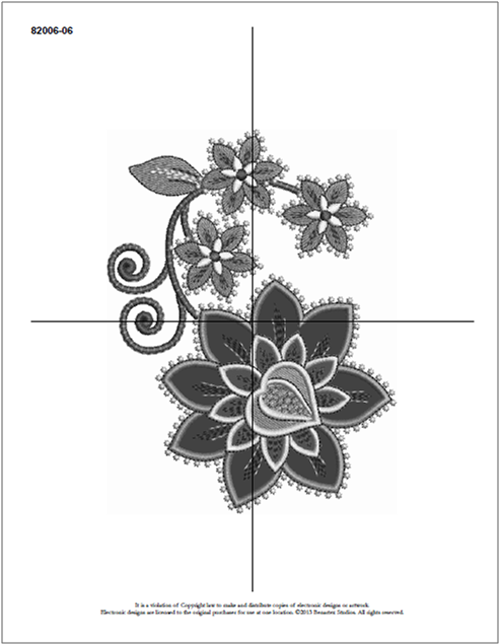 To get a paper template for these designs, or for any design that you resize, you need embroidery software. Of course BERNINA Editor Plus or BERNINA Designer Plus will work, but you can also use the free ArtLink Software if you don’t have those. Open the design of your choice. Edit the design as you wish using the features available to you. Then select File > Print Preview. Select the Options tab at the top. Under the Elements field, make sure that Embroidery is checked, Artistic View is NOT checked, Start/End Crosshairs is checked, and Actual Size is checked in the Size field. You will also want to make sure that your printer is set to print at actual size.